Practices well known in occult circles are being practiced in churches with the people thinking the Holy Spirit is causing it, not ever realizing that a demonic spirit is deceiving them greatly! 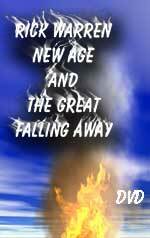 This Bible study will surprise you as to its accuracy in foretelling the events of the End of the Age now unfolding uniquely right now, in front of our very eyes! 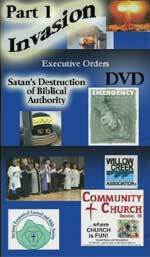 DVD - Invasion - Satan's destruction of Biblical Authority - Part 1 of the "Watchman on the Wall Series"